Member states of the United Nations have finally started talking about what older people’s rights look like. Despite the Open-ended Working Group on Ageing (OEWG) being tasked with identifying the main elements in a new international legal instrument to protect the rights of older people, progress has been slow because not all member states agree we need such an instrument. 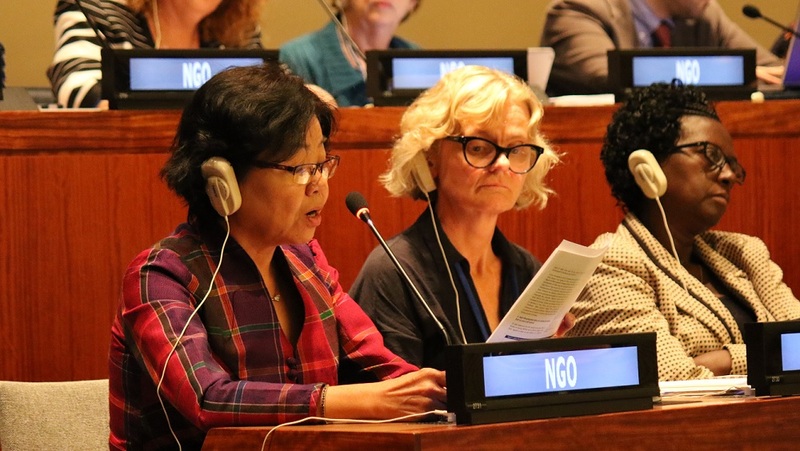 A breakthrough came at the OEWG’s ninth session last week in New York when delegates began discussing those elements in detail, starting with the content of the rights to equality and non-discrimination and to freedom from violence, abuse and neglect. This is significant progress at a time when human rights are under threat around the world. States may not have started drafting a new UN convention yet, but they are doing the groundwork and moving ever closer to the time when they will. Support for a new UN convention continues to grow in different regions of the world. Canada, which was previously opposed, stated that it is now open to discussing the idea of a new convention. Mauritius became the latest African state to express its support, saying a legally binding instrument may eventually ensure the rights of older people are guaranteed. Civil society presence was stronger and better co-ordinated than ever. A record 42 NGOs applied for accreditation to the OEWG to participate directly in the process, and all 42 were approved. Despite the progress, there is a lot of work to do. Older people’s self-representation at the OEWG is still limited. They need to be at the heart of the discussions and lead the advocacy on their rights to ensure that a UN convention reflects their experiences and needs. More government representatives with expertise in the issues need to attend the OEWG to ensure the state interventions are well-informed. And member states must agree to allocate sufficient resources from the UN budget so the OEWG can effectively carry out its work. Looking ahead, two new topics were chosen for the 10th OEWG in 2019: the rights to social protection and to education. Work between sessions is already planned, with international conferences on the rights of older people being held in Seoul, South Korea in September and Vienna, Austria in November. Find out more about the process of working towards a UN convention on older people’s rights.